Happy New Year everyone! I hope you all had great holidays with family and friends. I had a very enjoyable end to 2017 with two trips to see family in Australia and Hong Kong. 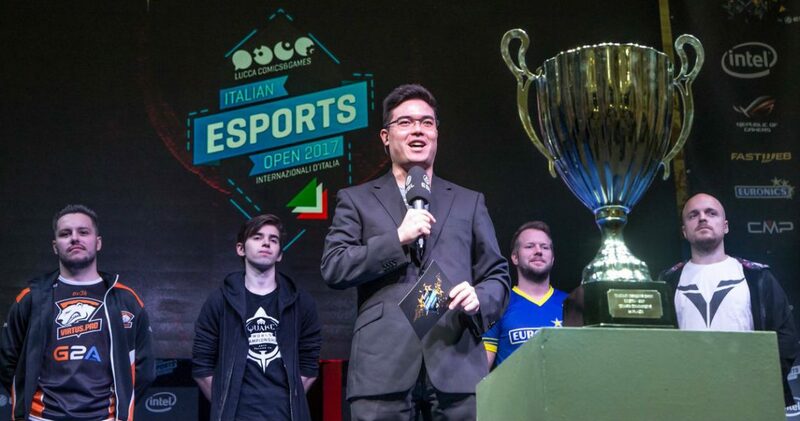 Before I did that, though, I spent a week hosting the Italian Esports Open in Lucca! I really love Italy and Tuscany in particular. Before I became involved in esports, I had the luxury of being able to work while mobile. I often took budget flights out to Italy and stayed in hostels, exploring the cities and countryside while working in the evenings. The area of Florence, Pisa, Lucca and Cinque Terre is possibly my favourite place to be, and I really enjoy coming back here. Here’s a photo I took on a hike through Cinque Terre many years ago, when I stayed here while working. 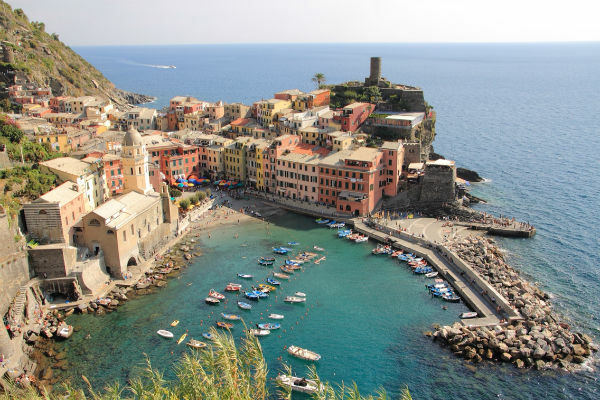 This is the view down to Vernazza, one of the five beautiful towns that make up Cinque Terre. It’s breathtaking! Lucca is a beautiful city near to Cinque Terre, and is also close to Pisa. It’s famous for its Renaissance-era city walls. They largely still stand to this day! The city has expanded beyond the walls, but inside is the “old town” with historic architecture and beautiful streets. If you were to visit when it was quiet, I highly recommend a walk around the city walls (you can walk on top!). Lucca is an extremely peaceful and beautiful place to be. There are exceptions to this, of course. Lucca Comics & Games is Europe’s largest comics and gaming festival and is the world’s second largest behind Comiket in Tokyo! The number of people in Lucca swells by many hundreds of thousands over a week of non-stop comics and gaming action. 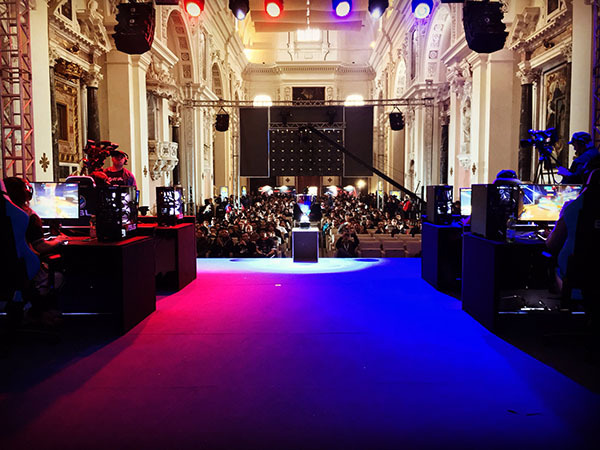 In the middle of all of this is the Italian Esports Open! 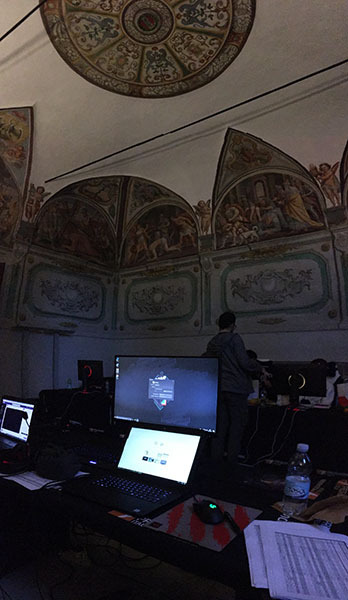 It is five days of competitive gaming from inside a beautiful deconsecrated cathedral. I was thrilled to be a part of it! My first impressions of the venue were difficult to describe. It was mesmerising and oh so different to watch an esports stage being erected inside a church! The building was beautifully decorated, and even ‘backstage’ was more ornate than any venue I’ve worked in before. This was my desk when I wasn’t on stage, and where off-stream players held their matches. How’s this for an office? A few metres away was the rear entrance to the stage. The view as the cathedral filled up again for each successive match really built a tense atmosphere. In-between matches and during the odd break, we were of course free to roam the city. What’s special about Lucca C&G is that the entire old town becomes the festival! There’s no individual stadium, field or building that is the main attraction. 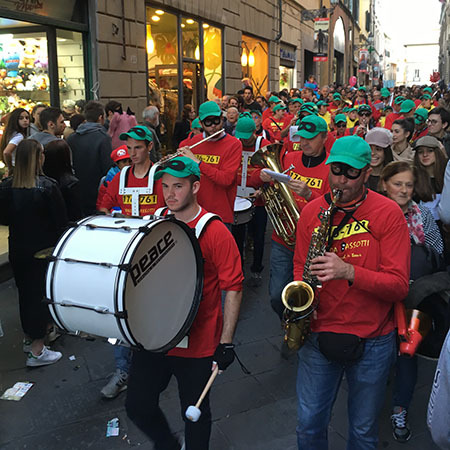 The entire city becomes one big celebration, and as a result has more than enough room to accommodate everyone who was there. The atmosphere was amazing!! Live music was more or less everywhere you went (slowly, through the crowds). Both static and marching bands seemed to be one-a-minute. Shops were open as usual for business, restaurants were bustling and the bars were a flurry of activity as everyone spent the day enjoying the festivities. The cosplay and dress-up was also top notch. There are many photos that I could share in addition (some of which I posted on my Instagram). 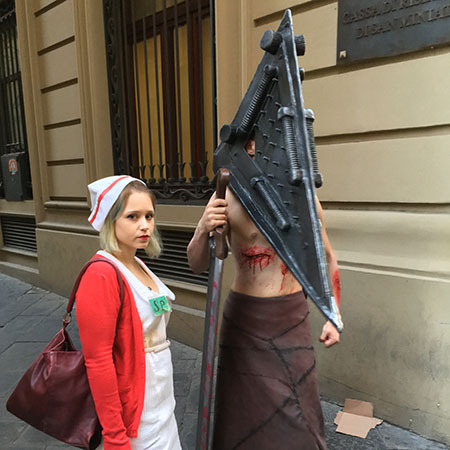 This self-made Pyramid Head cosplay certainly turned a few heads! I also recall passing Prince Charming and around 15 Disney princesses travelling around Lucca as a group – brilliant. 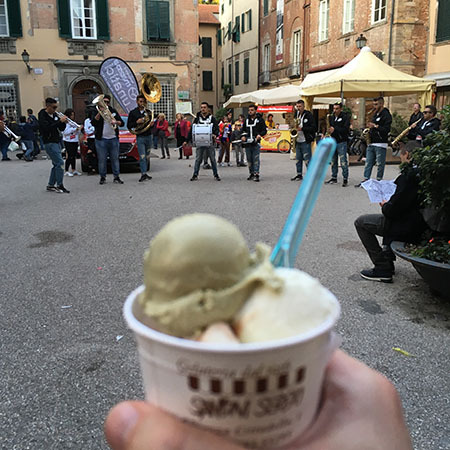 …and of course, when I wanted to sit down and enjoy the atmosphere myself a little bit, what better way to do that than with gelato while listening to live music! Of course, in the middle of all the beautiful scenery and fun activities came the serious part. Over five days, I had the pleasure of hosting Quake: Champions, StarCraft: Remastered and Overwatch. I am not a Quake player myself but remembered watching tournaments back in my Counter-Strike 1.5 days. The competitors were a fantastic mix of old-school and new-on-the-block, and included six of the top eight players from QuakeCon. The ability and standard was evident for all to see, as even the initial group stages went to tiebreakers to determine our final four. 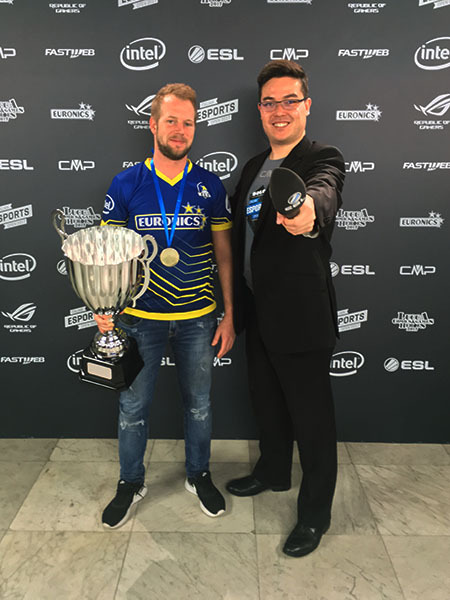 At the end of the first two days, k1llsen got at this tournament what many perhaps expected from him at QuakeCon, by winning a thrilling final and the Italian Esports Open championship with it. I won’t forget voO in a hurry, though – an amazing player and person who wears his heart on his sleeve. They’ve definitely got me hooked on watching more! The next two days featured a showcase of StarCraft: Remastered with a fun field of players, but admittedly none that stood out more than FirebatHero. He is a legend in his own right and first became known for his hilarious ceremonies on camera and on stage. His professional StarCraft debut was over a decade ago, and the Italian Esports Open was his first tournament ever in Europe! The tournament was a very social affair and many of the players came out for dinner to socialise. FBH was also blogging about his experience and travels for his YouTube channel. You can check it out below! FirebatHero did indeed win the tournament, but not quite in the way you would imagine. Draco had an amazing semi-final against FBH. He first went 2-0 down, then came back amazingly to peg the series on a deciding 5th game. He lost that to allow FBH to advance, but not before having chances of his own! That series will go down as a real nailbiter. It had the crowd on their feet as well as everyone backstage glued to the preview monitors. It felt quite strange to be saying goodbye to another group of players at the end of the fourth day. 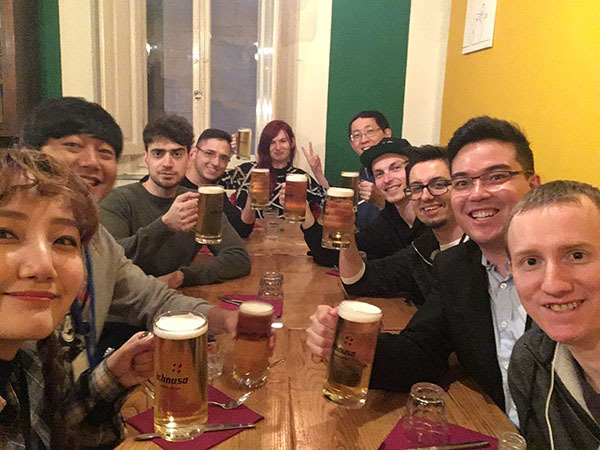 One odd part of being a host across multiple games is that for the players and casters, their Italian Esports Open journey had ended. For me, though, it carried on! So while everyone was in a celebratory mood after the tournament, I was busy watching what I ate and drank. I also ended up having to sneak off to bed earlier! While the players awaited their transport to airports in the morning, I was getting ready to go back to the venue for a new day’s gaming. 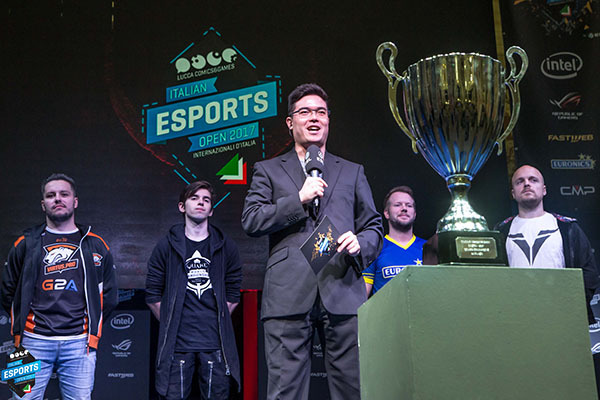 After four days of intense 1v1 gameplay, the group games at the Italian Esports Open would close things out with Overwatch. This was a great community day where invited professional players (four Italian, four international) chose teams from the audience and played together! Each team of course had the star GM player, but it was how the rest of the team played together and communicated that would make all the difference. The crowd were really loud for the entire tournament but especially got behind the Italian teams. Unbeknownst to us until later, Carnifex had a teammate in the audience who he picked to play on his team! This obviously gave him a bit of an advantage and we were chuckling backstage about how the plan was to now gang up on him. That turned out to be unnecessary, though, as strong showings from team TwoEasy and team CrystalGecko gave us a really tense final! The crowd were also very firmly aligned one way or the other, creating the loudest noise I had heard all weekend so far at the Italian Esports Open! 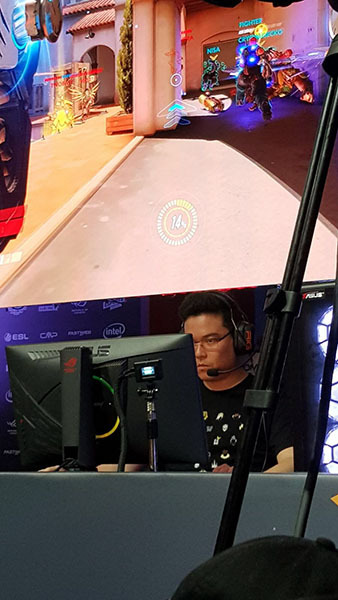 After a nail-biting match, the local Italian team CrystalGecko took home top prize at the Italian Esports Open Overwatch tournament. Of course, these weren’t teams of full professionals so there was more of a lighthearted atmosphere, but from listening to the crowd you wouldn’t have known it! There was a huge amount of celebration on-stage and CrystalGecko was of course extremely happy with his team. Being able to take home a trophy as a local hero was a big bonus for him! 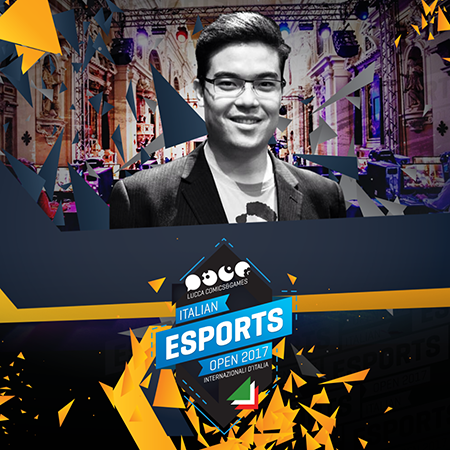 The Italian Esports Open was my last event of 2017 due to a couple of family holidays leading up to Christmas. I am super glad that I made time and shuffled my schedule around to make it, though. Going back to a place I love to do something I also love is a big privilege. I definitely hope to come back next year and enjoy the festivities once again! Moving on into 2018, I am eager to start streaming more and expect to do so at the end of January. My desktop is (sadly) currently out of commission until I replace its motherboard, so I expect that to happen shortly. I’m still playing Overwatch, really enjoy playing PUBG and may also stream some fun variety old-school games (Crazy Taxi, anyone?!) as I work out a regular schedule. I also have racing games and events very much on my radar for 2018. I really enjoy racing as many of you know, and I loved the idea behind F1 esports that was trialled in Abu Dhabi. It looks like the official F1 team are primarily working with people in television (rather than the esports space), but there are other opportunities about and I’m looking forward to seeing where things go with sim racing in 2018.